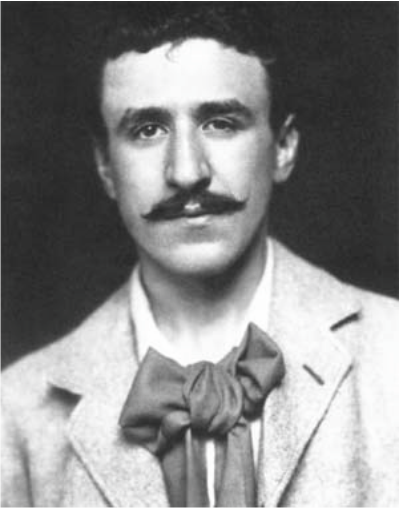 Charles Rennie Mackintosh (1868 to 1928) was a renowned Scottish designer and architect, who contributed greatly to design in the early twentieth century. He designed buildings, including the impressive and imposing facade for the Glasgow School of Art (1899). He also produced floral watercolours, landscape watercolours, textile designs and interior designs. His furniture is especially memorable and their innovative design was important, at a time of change from Art Nouveau to Modernism. Many of his designs were influenced by Art Nouveau and the Arts and Craft Movement. He can be regarded as a leading force in the modernist movement, although his designs were more artistic than those who followed strict modernist ideals. He often included floral patterns and Celtic Art, as simple decoration. He was also influenced by Japanese style and design. He recognised that the Japanese brought simplicity, style, functionality and the use of natural materials to their designs/products. 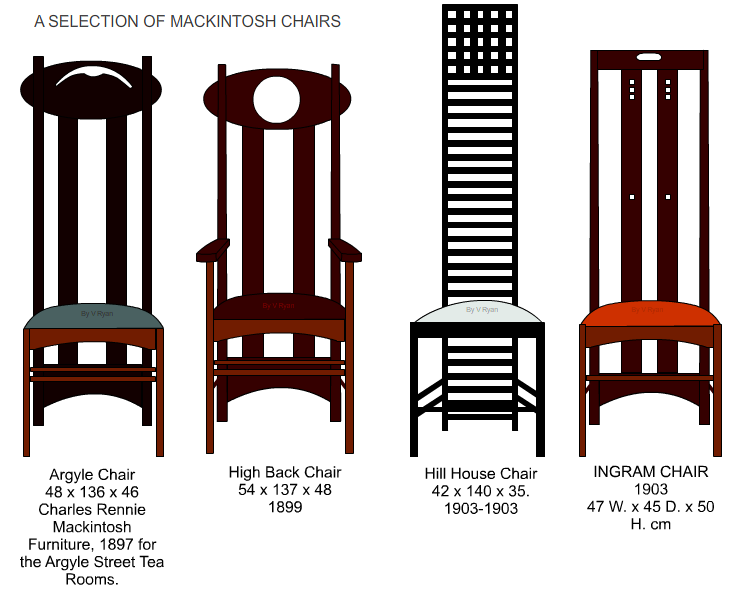 Charles Rennie Mackintosh did not design for mass production, but usually for individuals and for specific rooms. Mackintosh utilised a combination of design principles derived from Art Nouveau, the Arts and Craft Movement and Japanese design.